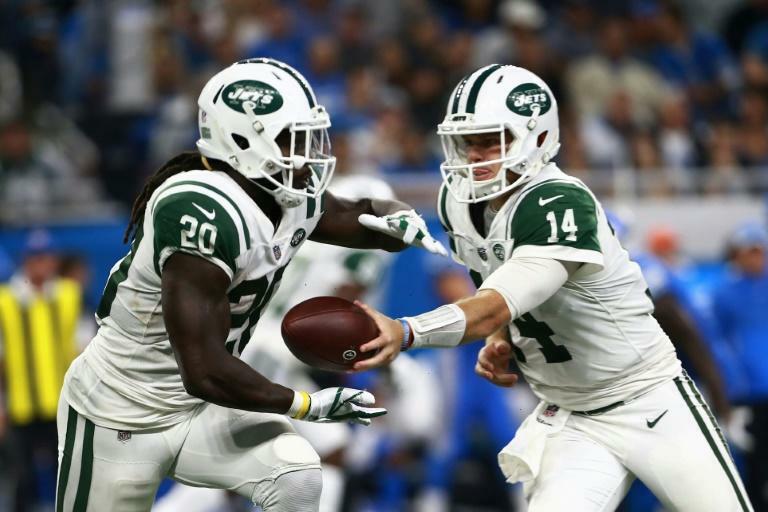 New York Jets quarterback Sam Darnold bounced back from a disastrous start to lead his team to a 48-17 rout of the Detroit Lions on Monday. Darnold, the talented 21-year-old rookie from California, threw an interception that was returned for a touchdown with his very first pass attempt to give the Lions an early lead at Ford Field. But Darnold, picked third overall in this year's draft, recovered brilliantly to lead the Jets comeback. His game highlight reel included one superb pinpoint pass to Robby Anderson for a 41-yard touchdown in the second quarter which helped put the Jets ahead 17-7. The Jets quarterback finished with respectable figures of 198 yards from 16 completions out of 21 attempts, including two touchdowns. Darnold revealed later he had sought to forget his nightmare start as quickly as possible, blaming early nerves for the interception. "I was licking my chops a little too much," Darnold said. "But after that I put it behind me...I was like 'Okay, here we go. Can't get much worse than that.'" It was a night to forget for Lions veteran Matthew Stafford, who made 27 of 46 for 286 yards but was intercepted four times. "Story of the game's turnovers," Stafford said. "We had too many of them, I had too many of them." After edging into a 17-10 half-time lead, the Jets cut loose in the third quarter, piling on 31 points to surge into a 48-17 lead heading into the fourth quarter. Detroit had tied it at 17-17 early in the third when Stafford connected with wide receiver Golden Tate for a 24-yard TD pass. But the wheels began falling off for the Lions soon afterwards. Darnold connected with Quincy Enunwa for his second touchdown pass of the night to make it 24-17 before Darron Lee picked off Stafford to run in a 36-yard interception for the score. Andre Roberts then sliced through the Lions' coverage for a 78-yard punt return to stretch the Jets' lead before running back Isaiah Crowell's 62-yard gallop down the sidelines made it 48-17. The loss was a nightmare start for new Lions coach Matt Patricia, the highly rated former New England Patriots defensive guru who took over NFC North strugglers in the close season. In Monday's other game, the Los Angeles Rams turned on the offensive power to subdue the Oakland Raiders 33-13 in a hard-fought battle between the California franchises. The Rams, boasting an expensively assembled defense, were forced to come from behind against a Raiders outfit who shrugged off the shock trade of star linebacker Khalil Mack. 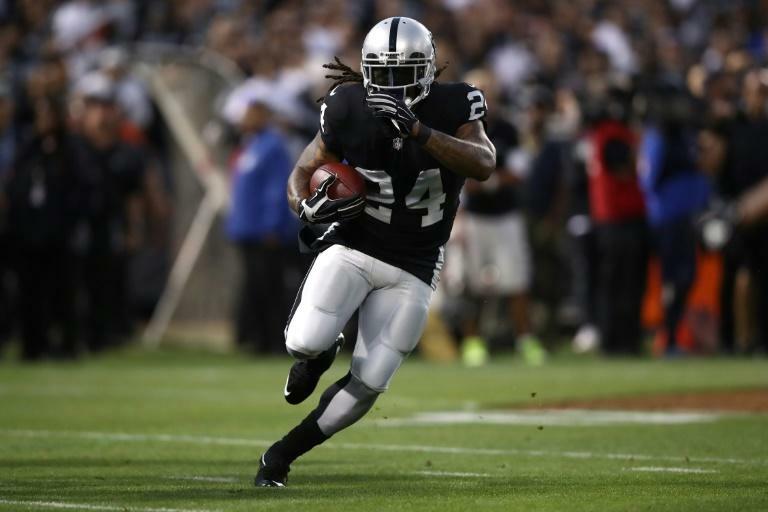 Veteran Raiders running back Marshawn Lynch had the Oakland crowd rocking after bulldozing through several Rams tacklers to score the game's opening touchdown in the first quarter. But Rams quarterback Jared Goff hit Todd Gurley with a 19-yard pass for a touchdown to level the score. The Raiders edged ahead 13-10 at the half thanks to two Mike Nugent field goals, but the Rams rattled off 23 unanswered second half points as the hosts wilted. Goff found receiver Cooper Kupp in the end zone to round off a 58-yard drive, while Zuerlein added two field goals to put the Rams 23-13 ahead early in the fourth quarter. A costly late interception from Raiders quarterback Derek Carr then gifted the Rams another long drive, with Zuerlein adding his fourth field goal to make it 26-13. Carr's miserable night then got worse with Marcus Peters grabbing an interception and returning it to the end zone to seal an emphatic win.